Enjoy each adventure in this Four Winds class C gas motorhome by Thor Motor Coach. 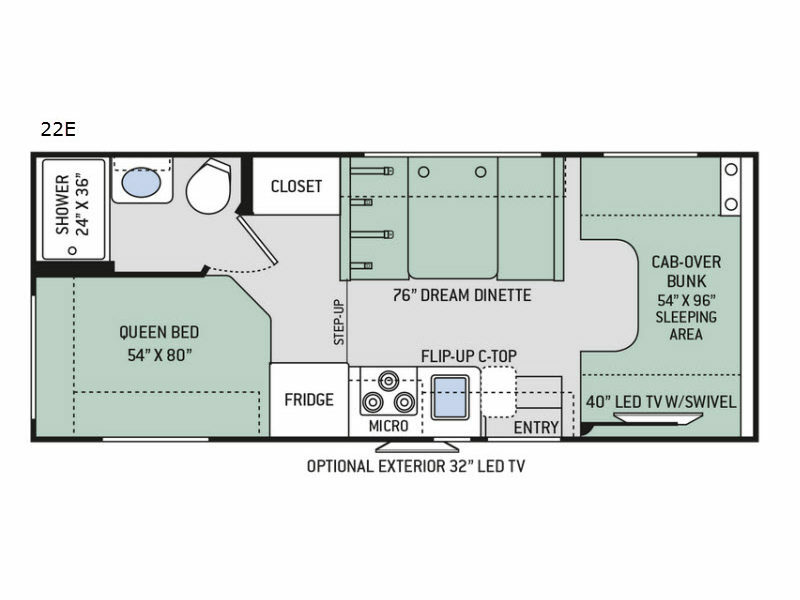 This model features a rear bathroom which includes a 24" x 36" shower and all of the amenities you need to enjoy spending time on the road. 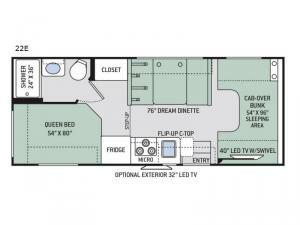 You will enjoy all of the sleeping space found throughout this model with the rear queen-size bed, the 76" Dream Dinette, and the 54" x 96" bunk over the cab for your kids, and in the kitchen there is a flip-up countertop which adds additional space for you to create those delicious home-cooked meals.